A graduate of Aleppo University, Syria, Dr. Hammami completed his postdoctoral research in Pediatrics at the Newborn Center of the University of Tennessee in Memphis, and then accepted a faculty appointment at Wayne State University School of Medicine in Detroit, Michigan and a research position at the Detroit Medical Center, Department of Pediatrics. In 2006 he was granted the American Medical Association (AMA) foundation for Excellence in Medicine and Leadership award for his public health advocacy and community work. He is listed in the Marquis 2006-2007 Who’s Who in Medicine and Healthcare, Strathmore’s 2006-2007 Who’s Who in Healthcare and Madison’s Who’s Who in the World 2008 – 2009. He was awarded the “Health Policy Champion Award” by the Michigan Department of Community Health in 2011, Arab American of the Year in Medicine in 2012 and nominated by the White House for Heroes for Health in 2013. Dr. Hammami was appointed as the Chief of Health Operations of Wayne County Department of Health and Human Services and the County Health Officer in 2009. 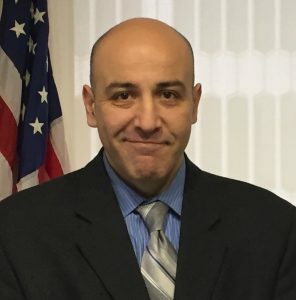 Recently, Dr. Hammami was appointed as the Director of the new consolidated department of Wayne County Department of Health, Veterans and Community Wellness where he oversees all health, wellness and human services for the 13th largest County in the Nation. Dr. Hammami is responsible for promoting and assuring population health, community wellness and quality of life by providing, maintaining, developing and coordinating a wide-range of innovative and fiscally responsible educational and health services including technology initiatives. Dr. Hammami is a member of several professional and honor societies and has been an invited speaker nationally and internationally in addition to having many publications in various peer reviewed medical journals.